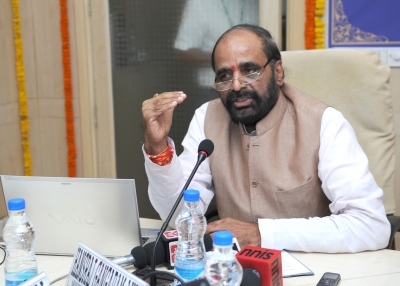 Minister of State for Home Affairs Hansraj Gangaram Ahir told the Lok Sabha, in a written reply, that the Punjab Police has arrested two persons in the case so far and filed a case against three other persons residing abroad. "Open dated warrants of arrest have been procured in their cases," Ahir told Communist Party of India-Marxist's Anirudhan Sampath. Two masked men came on a motorcycle to the Nirankari congregation at Adliwal village on the outskirts of Amritsar on November 18, 2018. Forcing their way in by brandishing a pistol, they lobbed a grenade into the prayer hall killing three people and injuring 20. Ahir also said that in order to avert terror incidents in the country, there was a close and effective coordination mechanism between intelligence and security agencies at the Centre and the state level. "A Multi Agency Centre has been strengthened and re-organised to enable it to function on a 24x7 basis for real time collation and sharing of intelligence with other intelligence agencies and state governments." With a view to enhance the capacity of state forces, the Central agencies have been conducting training programmes for the states' forces to collect, collate, analyse and disseminate intelligence from a counter-terrorism perspective and investigate terror cases, Ahir added.